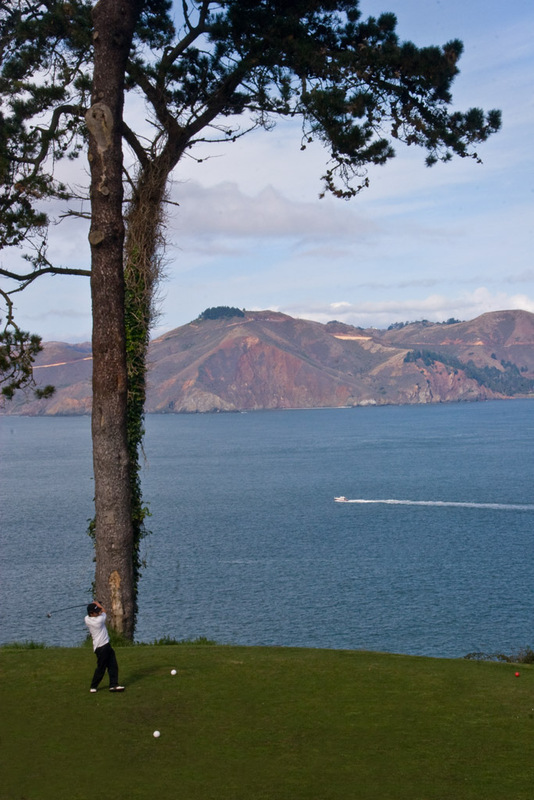 I don't play golf, but if I did, I think I want to play here at the Lincoln Park Golf Course in San Francisco. With such a nice view, I don't know if I can concentrate on the ball. Thanks for visiting my blog and for your kind comments. The 60D is an awesome piece of machine and coming from 20D you would certainly love it. I have been shotting with it using my friend's lens today and the camera's performance is outstanding. Wow, talking about 60D; I am still using and very much enjoy using 1000D. Indeed. The view is too nice to just concentrate on the balls. It's so beautiful there. I don't golf, but I still enjoy the scenery. US courses are built for the scenery, you should try St Andrews. Nice shot!!! I don't play golf either but my husband was extremely disappointed to see how well I did on golf on the Wii. He thought he'd thrash me and didn't. I agree. Based on your photo it would be difficult to concentrate. Puyish: Congratulations on your purchase. I just bought one yesterday and can't wait to get it. Rainfield61: I already waited patiently to see several Canon generations go by so it is time for me to upgrade. Although, I always thought it is the skill of the photographer and not the camera that creates the picture. Lina: I can't hit the ball so all I can do is look out. Unknown Mami: Me either. We'll just be spectators. Ryan: I just looked up St. Andrews and it's more beautiful than this scenery! flutietootie: If I played, I think all my golf balls would end up in the ocean.